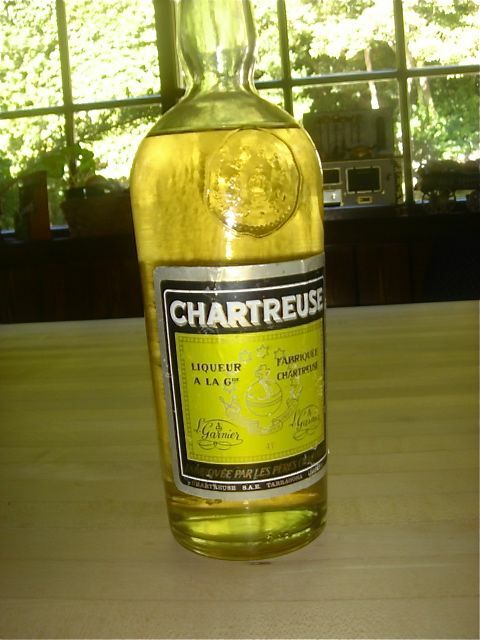 My favorite digestif is Chartreuse Tarragona. This is not Chartreuse Yellow VEP. 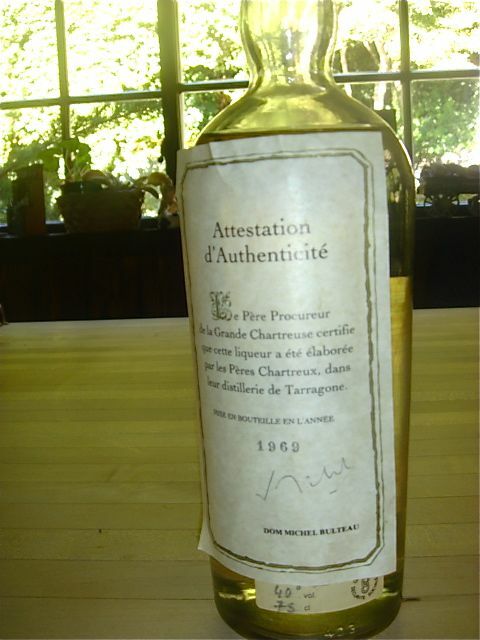 We subsequently have had some of this wonderful Chartreuse at Georges Blanc, Ducasse in Paris and La Pyramide in Vienne. Of course, the challenge became to find a place that sold it in Paris. Lucky us, we were dining at Lucas Carton for lunch (now Senderens) some years ago and noticed a wine shop across the street, Au Verger De La Madeleine, 4 Boulevard Malesherbes, 75008 Paris. They had the real Chartreuse Tarragona and the ratio of the dollar to the euro was reasonable at the time. So yes, we bought a couple of bottles and still have some left. Unfortunately, I think it is prohibitively expensive right now and very hard to locate. For the record Gilles Mony is the new owner of Au Verger De La Madeleine.